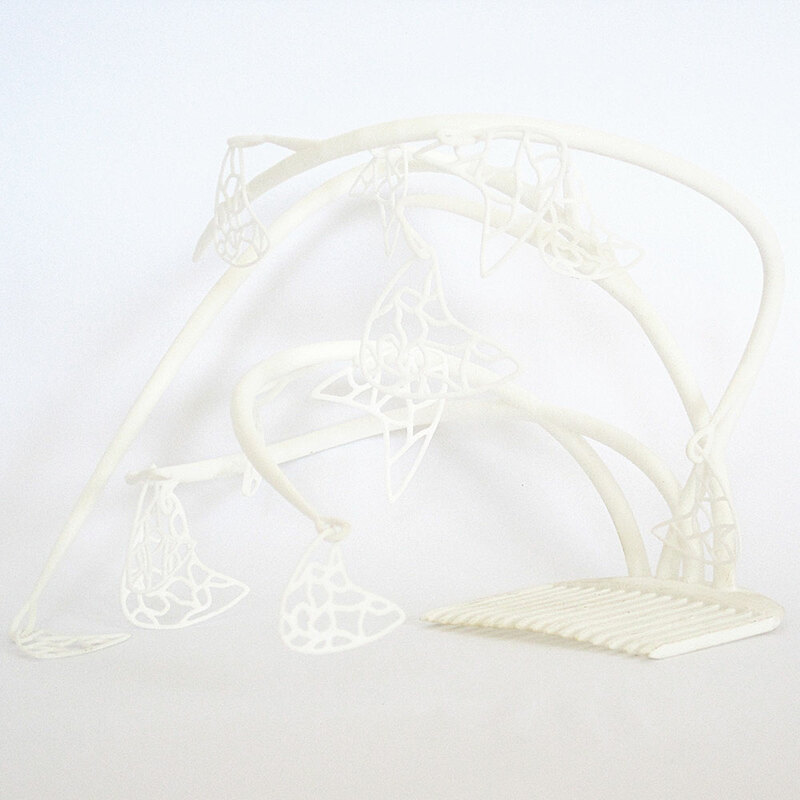 This unique fascinator is very light, comfortable and easy to wear. Order it in black or white for a classic look or choose from one of our vibrant colors for an extra splash of fun. 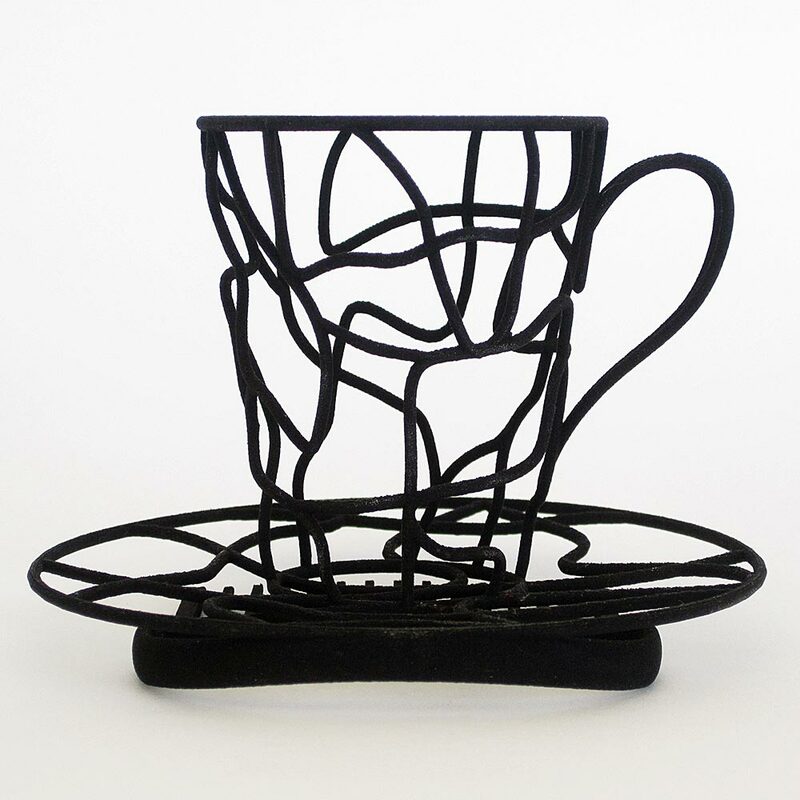 The My Cup of Tea Fascinator unites high fashion and functionality; from a distance it resembles a staple of steampunk attire, a top hat, but closer up, it reveals itself to be an everyday utilitarian object, a tea cup. This stunning combination gives this mini-hat great versatility. It can be worn anywhere from a morning church service to a late night party. It’s perfect for the woman with a fun and funky fashion sense that wants to assert her originality. 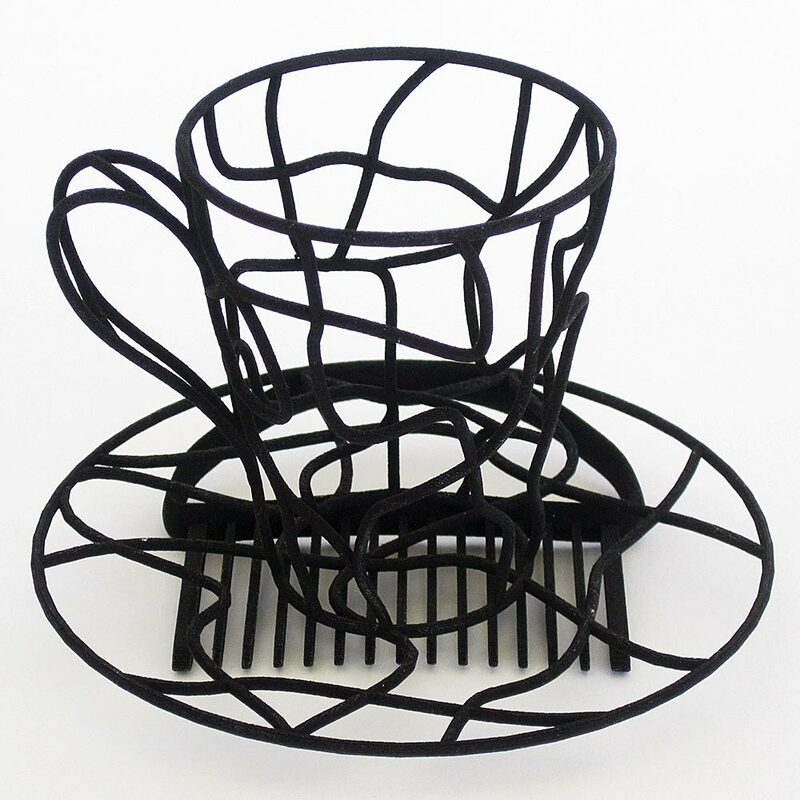 The My Cup of Tea mini-hat is comfortably fastened using the comb at its base. Lightly back comb or tease your hair where you want to put the fascinator. Then, firmly hold your hair in position, and guide the comb into place from back to front. The My Cup of Tea Mini Hat looks fantastic worn a bit askew or at an rakish slant and with an up, down or half down do. 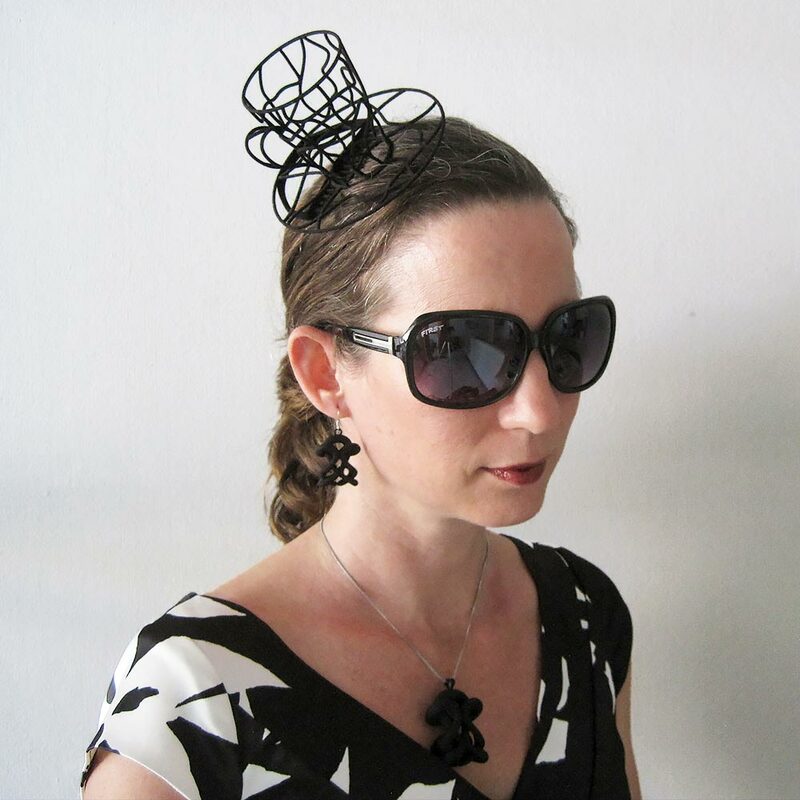 Want more information about wearing fascinators? 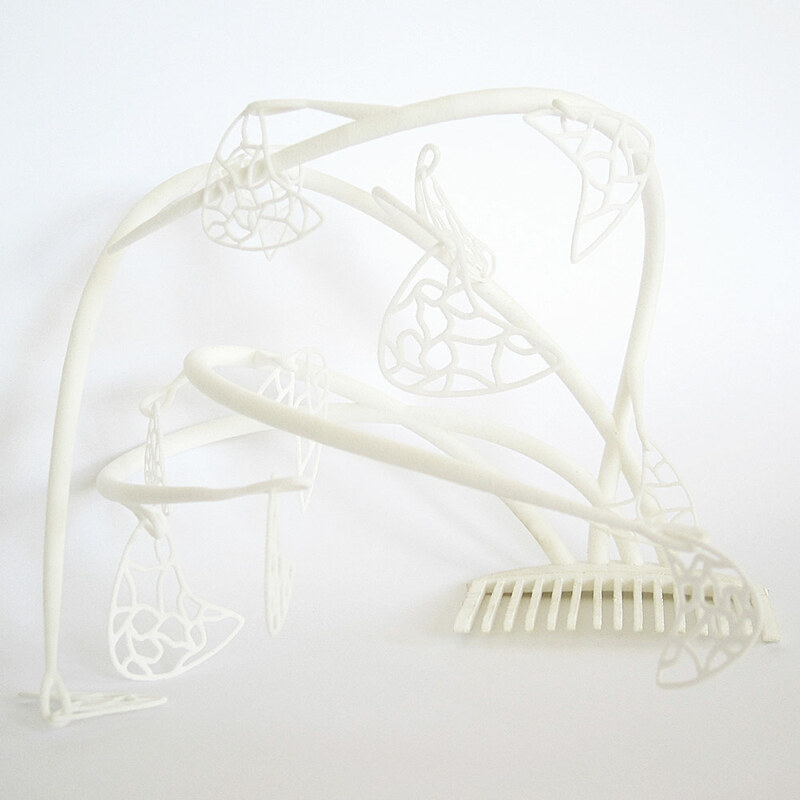 Check out our mini-hat blog post! 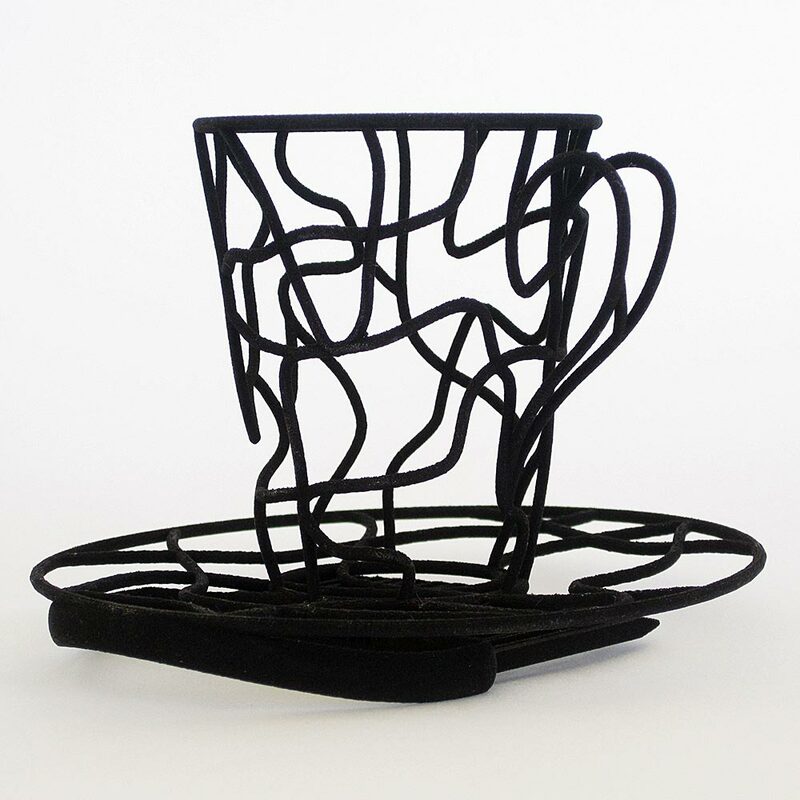 The Sloris ‘My Cup of Tea’ fascinator is 3D printed in strong and flexible plastic. Unpolished white and black pieces are slightly rough. Our vibrant and fun polished colors are smoother. The layered process of the printing often creates a look similar to that of wood grain. Overall, it has a likeness to unpolished or polished soap stone, but with the durability of plastic. 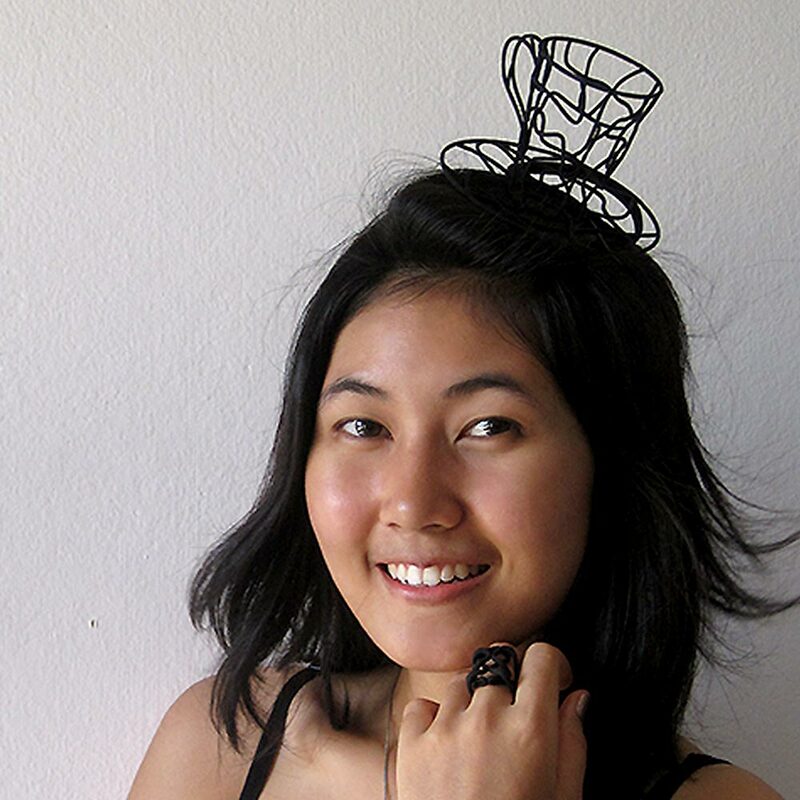 The Kinetic Aesthetic Fascinator hat is very fashionable wearable art. Wear it to make your outstanding outfits even better or build a new look around this amazing piece.